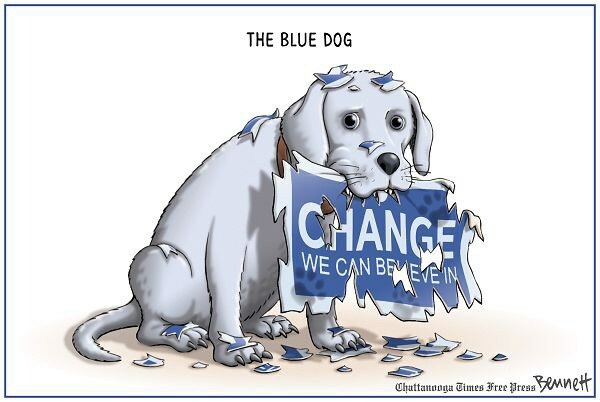 The Rise of the Blue Dog… Republicans? As Neo-Conservative hawks, intellectual conservatives, and smug corporatist types flee the Republican in Party in droves, searching for some redeeming value in the third parties they’ve mocked and snickered at for years, we are witnessing the return of those missing-in-action Blue Dog Democrats who seemed to go extinct overnight after the sinister swindle called ObamaCare destroyed the Democrat majority. Blue Dog Democrats, I’m sorry… Republicans seem to have latched onto the rise of Donald Trump and his merry band of progressive populists. Why should anyone be surprised. We’ve complained for months that Donald Trump is really a Democrat and despite a massive minority of Republicans who despise Donald Trump, Trump has won state after state on the backs of conservatives and evangelicals. We never stopped to question whether these conservatives and evangelicals were historically Republican in the first place – and it does not appear that they are – rather, what we are witnessing is a hostile take over of the Republican Party from the center. Donald Trumps positions on immigration, trade, foreign policy, and entitlements, in congress with his populist rhetoric aimed at American Workers is exactly the kind of rhetoric the old Blue Dog Democrats used to spout. It’s not that these people aren’t conservative or Christian, but that they simply hated the Rockefeller Republicans and establishment neo-conservatives. When Ronald Reagan took on the Republican Establishment, these Blue Dog Democrats were called Reagan Democrats, but that’s just about as far as you can take any comparison between Reagan and Trump. Trump actually represents, not the Republican Base, but the disenfranchised Blue Dog Democrat base. The Democrat Party has traveled further and further left and they have done real damage to American workers and they have lost all affection from average folk in “the south”. So along comes Donald Trump, speaking directly to them, and for the first time millions of Americans had a politician they could connect with. These average, working class folks don’t care about our two party system, or about our high-minded party-ideas. They simply want the government to get out of the way, to stop stomping on their industries, stop antagonizing their companies, stop ridiculing their gun and god clinging lifestyles. And it’s not that Trump speaks to the religious mindset of southern-evangelicals. He doesn’t. 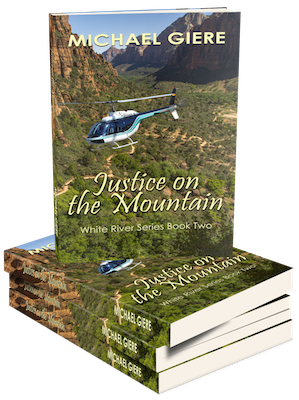 He does speak to the issues that concern them in their own personal lives. He speaks to the very real concerns of modern ‘Muricans. These are God-fearing, reality-tv watching, pro-military, pro-america, anti-immigrant folks who are pissed off that they haven’t gotten a raise in five years, or even if they have, that their standard of living has not improved. Trump speaks their language and he’s telling them that if they vote for him, he (as opposed to any other candidate in either party) will solve those specific problems. The Blue Dog Republicans are here. What are we going to do? Their presence isn’t just scaring off the establishment types, but also the libertarians and constitutionalists and the intellectual conservatives. Trump and the Blue Dogs threaten to destroy the Democrat Party’s old base, while utterly reforming the Republican Party into something none of us expected. We won’t know until November how many of these Blue Dog Republicans actually exist, but if they exist in enough numbers to elect Donald Trump President of these United States, then it really is a whole new ballgame out there and we’ll all have to start making peace with the idea that this new Republican Party, Trumps’ Republican Party, might be here to stay. What further consequences these changes will have on the Democrat and Republican parties is unclear, just as it is unclear whether or not a new Republican Party of this kind could pave the way for a third party in American Politics.